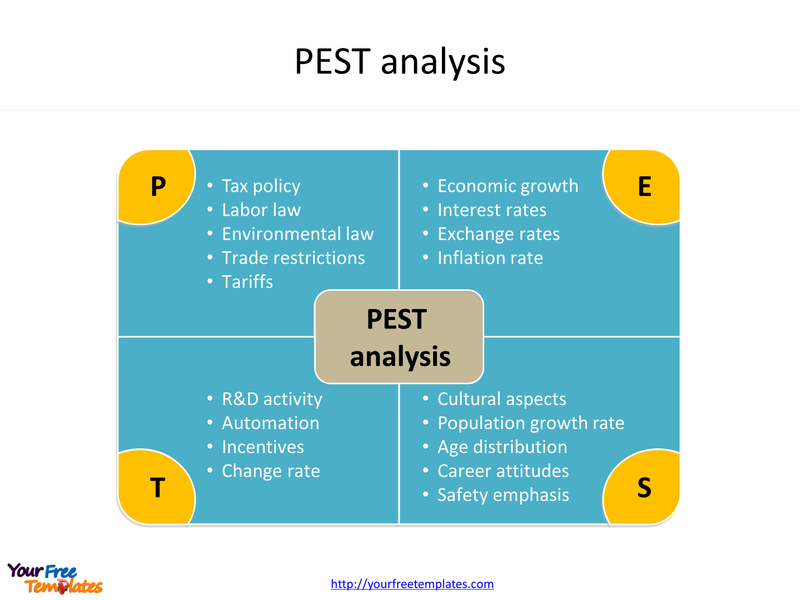 The PEST analysis Template in PowerPoint format includes four slides. Firstly we have the PEST analysis in two formats. 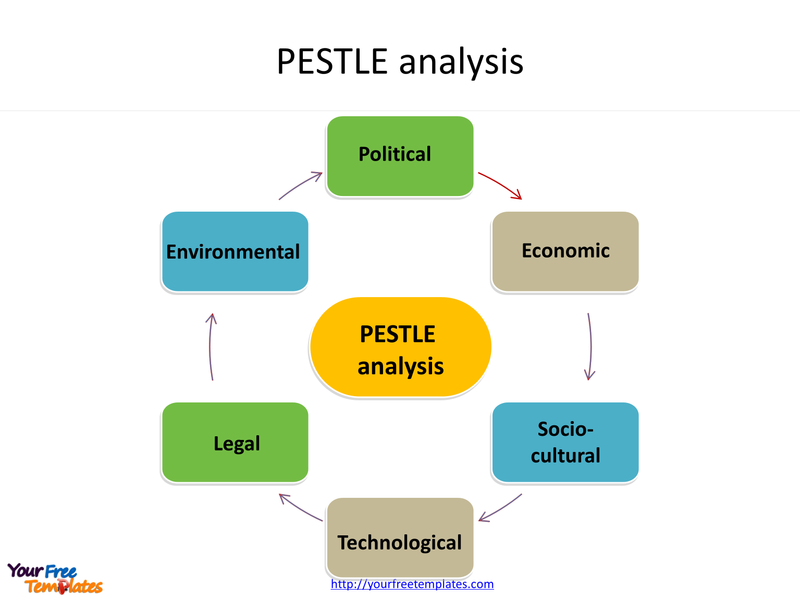 Secondly we present PESTLE analysis in different formats. As the same diagram PowerPoint template series, you can also find our Maslow’s hierarchy of needs, Data Mining, Machine Learning, cloud computing, Artificial Intelligence and BlockChain PowerPoint templates. 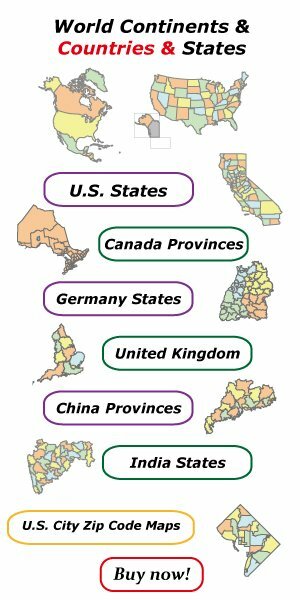 The PEST analysis PowerPoint templates include four slides. 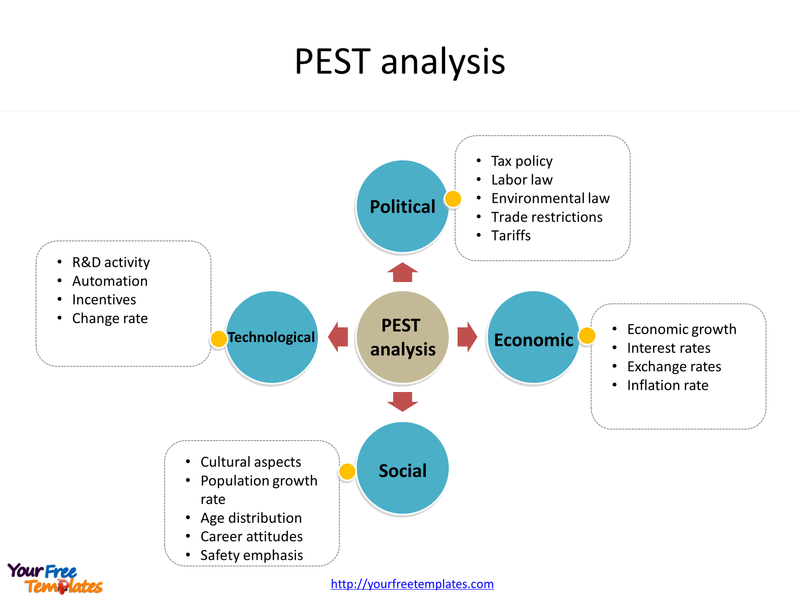 To begin with the PEST analysis describes a framework of macro-environmental factors used in the environmental scanning component of strategic management. Then it is part of an external analysis when conducting a strategic analysis or doing market research. Finally it gives an overview of the different macro-environmental factors to be taken into consideration. 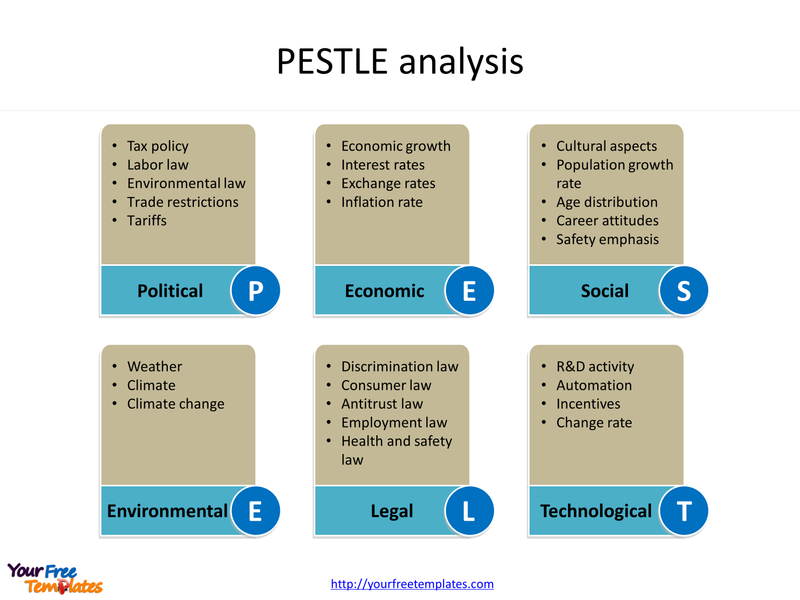 Slide 3 and 4, PESTLE analysis templates. Firstly Political factors are basically how the government intervenes in the economy. Specifically, political factors have areas including tax policy, labor law, environmental law, trade restrictions, tariffs, and political stability. Secondly Economic factors include economic growth, interest rates, exchange rates, inflation rate. These factors greatly affect how businesses operate and make decisions. Thirdly Social factors include the cultural aspects and health consciousness, population growth rate, age distribution, career attitudes and emphasis on safety. High trends in social factors affect the demand for a company’s products and how that company operates. Fourthly Technological factors include technological aspects like R&D activity, automation, technology incentives and the rate of technological change. These can determine barriers to entry, minimum efficient production level and influence the outsourcing decisions. Expanding the analysis to PESTLE or PESTEL adds two factors. One is Legal factors include discrimination law, consumer law, antitrust law, employment law, and health and safety law. These factors can affect how a company operates, its costs, and the demand for its products. The other is environmental factors include ecological and environmental aspects such as weather, climate, and climate change, which may especially affect industries such as tourism, farming, and insurance. For detailed info on PEST analysis, please refer to Wikipedia.